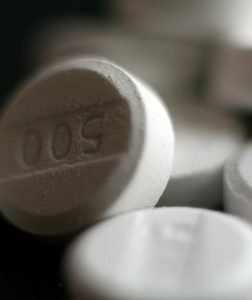 While the law comes with many protections to prevent a situation in which a person takes life-ending drugs without making that choice for him or herself, numerous elderly safety advocates have voiced concerns about how the law could enable certain forms of elder abuse, particularly among patients with dementia. At the same time, however, some Californians think the law has not gone far enough to protect patients suffering from dementia. What do you need to know about the law and how it may impact elderly patients affected by Alzheimer’s and other forms of dementia? Patient is mentally competent (and thus able to make an informed decision about health care). These requirements are only the first steps. After these requirements are met, then the patient is required to make two separate oral requests for assisted-death medication, 15 days apart from one another, to a physician. Both of those requests must have witnesses. In addition, in order for the patient to obtain the medication, she or he “must be able to self-administer the drugs.” A patient can also rescind her request for the medication at any time, and she is under no obligation to take the drugs once she obtains them. Concerns About Elder Abuse? Should We Extend the Law Further? Yet some argue, oppositely, that the law did not go far enough. Since the Act requires that the patient be mentally competent and able to administer the medication himself or herself, patients with Alzheimer’s largely are prevented from obtaining a lethal medication. Some California residents feel strongly that, if they begin suffering from dementia, they want to be able to have the right to die. However, the law as it currently functions would prohibit it. If you have questions about elder abuse and the right-to-die law, or if you have concerns about an elderly loved one’s safety, and experienced nursing home abuse lawyer in San Diego County can assist you. Contact the Walton Law Firm today.